Restaurants are a contain a hazardous environment that is unique and different than any other type of location. Most restaurants have a need to cook food quickly and get it out to paying customers who are waiting to eat. Restaurants often have cooks or chefs, waiters, and other employees that are sharing a sometimes small area. In addition, many restaurant kitchens have fryers which are designed to cook french fries and other food at very high temperatures. Almost all restaurants use some sort of grease, cooking oil, or animal fat in the cooking process. All commercial restaurants need a restaurant fire suppression system installed in the range hood. Newer restaurant fire suppression systems contain a liquid which will spray on the fire and cooking surface if the temperature of a fire reaches a certain temperature. The normal temperature at which the restaurant fire suppression system activates is at 450 degrees fahrenheit. 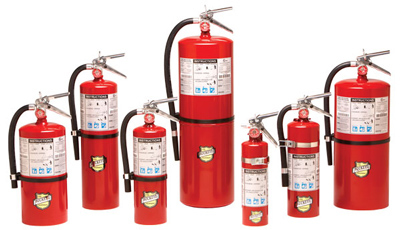 But, some restaurant fire suppression systems may activate at varying degrees. For example restaurants that use a wood or some other form of solid fuel in the cooking process (a chargrill) may use fusible links in the restaurant fire suppression system that activate at 500 degrees. Only a professional fire protection company can make this determination based on may factors.